This year has been full of learning and stepping outside my comfort zone. 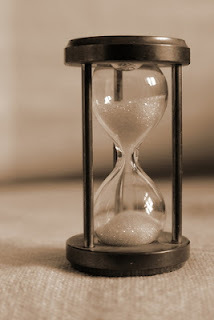 Time is running down on 2012. In March, I plunged into Six Sentence Sunday. It was nerve-wracking! What do I post? What would people say about my six? My worries were unnecessary, though, since everyone was so positive and enthusiastic. I've met a lot of wonderful writers through that blog hop and have connected with many of them through memes (Kreative Blogger, The Next Big Thing and Lucky 7), Twitter and Facebook too. I'm sad SSS will be ending in January. Oh - and I did my first interview on my blog with Sarah Kades! It was fun, so I plan to do a lot more of those in 2013! I finished going through my first full novel, Secrets and Second Chances, with my critique group (Thank you, Sarah, Deb and June!). This year, I think, we have grown as a group, learning how to give and accept critiques in an efficient and easier way, and I've grown as a writer through this process. In September, I spontaneously submitted Secrets and Second Chances to the So You Think You Can Write contest. This was the first time I'd ever done something like this - I'm surprised I had fingernails left at the end of it! I didn't final, but I still consider the experience a success because of the wonderful support and comments I received during the voting stage - from family, friends and complete strangers. I also enrolled in online writing and marketing classes, wrote articles for my writing group's newsletter, started editing three stories, and have another three outlined. I can't wait to see what 2013 brings!